One of the most prolific writers of all time, Frederick Faust is thought to have written nearly thirty million words during his career, in the form of hundreds of novels and short stories. 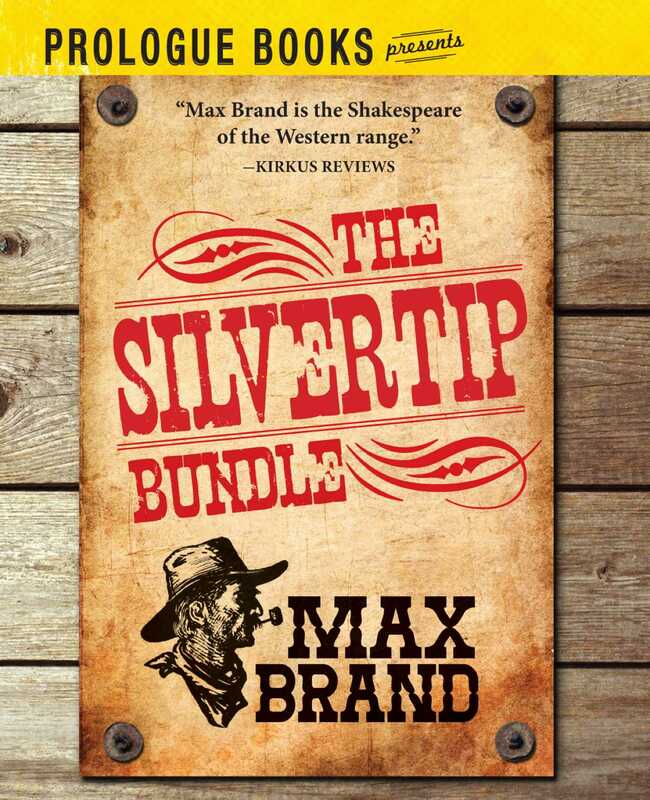 He is most widely celebrated for his Westerns written under the pseudonym, Max Brand. Included in this bundle are three novels starring fast shooting and always cool, Jim "Silvertip" Silver. Silvertip's Strike: Steve Wycombe was a low-down snake till the day he died...and even after death. To his three worst enemies--Morris Delgas, Harry Rutherford, and Jim Silver--he left his land, stock, and cash. It was his last evil plan, shrewd and vindictive. To profit from his inheritance, the three would have to run his ranch together. Wycombe knew the criminals, Delgas and Rutherford, wouldn't cooperate with the honest Silvertip. Sooner or later there would be violence and bloodshed. Wycombe would have wanted it that way. Silvertip's Roundup: When Barry Christian, one of the West's most detestable law breakers, starts making trouble in Horseshoe Flat, Silvertip is ready to take him on in his inimitable style. Silvertip joins forces with Taxi, a cunning safecracker and ex-con from New York. Together Silvertip and Taxi set out to hunt Christian down and teach him an unforgettable lesson.